PINTURAS FRAYCAR, S.L. was founded by Francisco Arlandis Bolufer in July of 1966, located in a basement of 150 m2 in Cullera (Valencia) SPAIN. In its beginnings, it began with the commercialization and sale of paintings in specialized stores in Cullera (Valencia) SPAIN. In 1969 he started with the manufacture of small quantities of plastic paints, which had a good acceptance in the market. In 1975, it moved to a 500 m2 warehouse in the Industrial Estate of Corbera (Valencia) SPAIN, expanding its range of manufactured and focusing its activity on manufacturing a wider range of plastic paints, following a line of maximum quality In all his paintings. 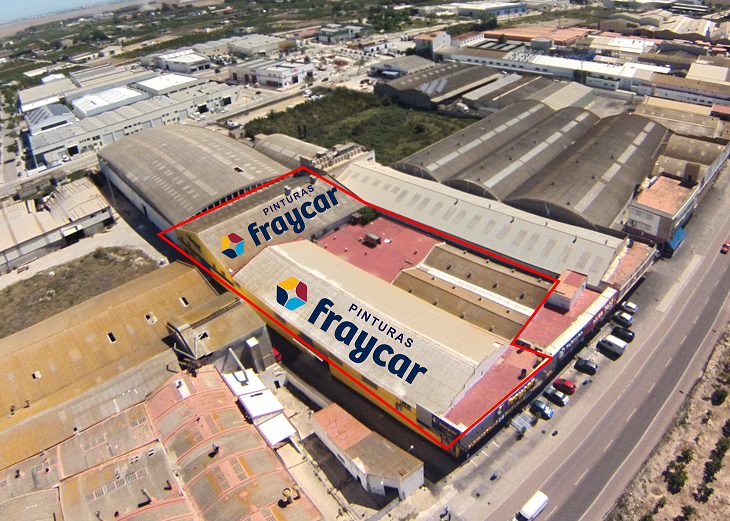 In 1985, PINTURAS FRAYCAR, S.L., in its process of sales growth and checking the demand for its products in the market, expanded its activity with the manufacture of solvent paints (synthetic enamels, primers, etc.) and moved to a new Nave of 1,200 m2 in the Municipal Term of Sueca (Valencia) SPAIN with the most modern machinery, applying in our laboratories a rigorous quality control of both raw materials and manufactured products, to offer the highest quality in their paintings. From 1990 to 1998, the Company recorded a spectacular growth, expanding its workforce from 12 to 21 workers, so in 1998 it moved to the current factory, equipped with the most advanced technology, with a surface area of ​​6,200 m2 located on the Carretera National 332, Km. 252’2, in the Sueca Industrial Estate (Valencia) SPAIN. PINTURAS FRAYCAR, S.L. is currently engaged in the manufacture of plastic paints and products for the protection, rehabilitation and decoration of buildings, sports areas, woods, metals, etc., offering a wide range of products for decoration and industry. Our range of products cover a wide range of matte, semi-matt, satin coated, facade cladding, waterproofing, antique paint, sports paint, liquid dyes, synthetic enamels, varnishes, primers, fixatives, glue paints and products Specialties such as fungicides, additives, etc. PINTURAS FRAYCAR, S.L. is currently working with major Spanish cities and exporting to countries such as Morocco, France, Portugal, Cuba, Ukraine, etc.